Mortgages In Mexico's Blog | Financing for your Mexico Dream Home is finally here! Millions of travelers from all over the world are finding their way to Mexico. Many come by air, but for a large portion of travelers, seeing the country from a cruise ship is the way to go. That’s why Mexico is, once again, maintaining its longtime position as the number one cruise destination in the world. 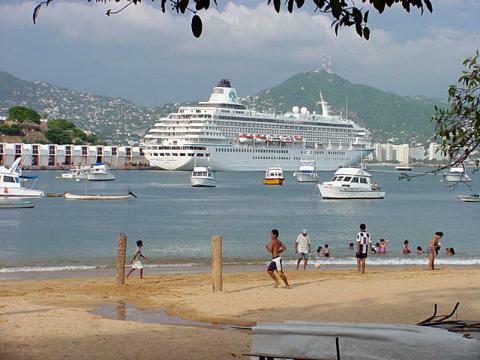 In 2011, more than 800,000 cruises docked along the beautiful shores of Mexico, which added about $500 million to the economy through jobs and in revenue. In addition, the cruise ships brought 5 million visitors to Mexico on top of the 22.7 million travelers that already visit via air each year. According to Gloria Guevara, Secretary of Tourism in Mexico, many shipping companies throughout the world are willing to invest their resources in the country. This, in turn, increases the number of cruise line and passenger arrivals, and in January 2012 alone, growth in the sector had already increased by 7.1 percent. To further promote the cruise sector of Mexico, the Mexican Ministry of Tourism and the Mexico Tourism Board (MTB) are sponsoring the Mexico pavilion at the Cruise Shipping Miami 2012 trade show and conference. 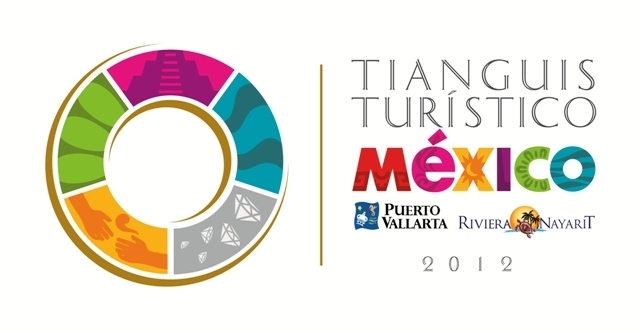 Tianguis Turistico Mexico 2012, a sought after tourism event in Mexico, will soon be held in two new regions for the first time. Riviera Nayarit and Puerta Vallarta opened their doors in celebrating the 37th-year of Tianguis Turistico Mexico. This year, the slogan for the tourism event is “Two Paradises, One Destination.” It aims to represent two paradises in Mexico, Puerta Vallarta and Riviera Nayarit, as one destination for travel professionals. Such an approach in improving the tourism sector has earned both regions an international award for working together. 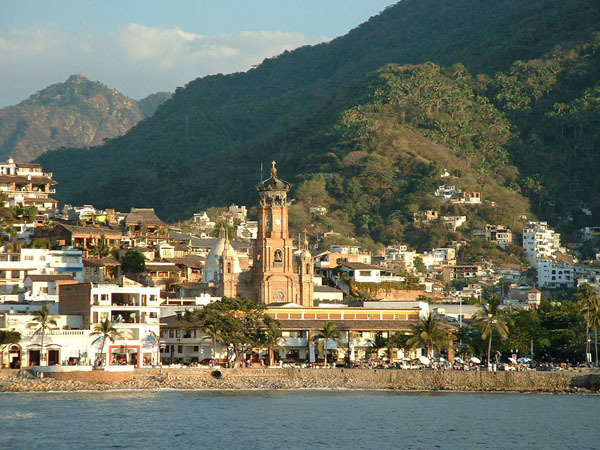 Tianguis Turistico Mexico 2012 will be held at the Puerto Vallarta Convention Center from March 25 to March 28. Various events and activities are scheduled for travelers to enjoy, as well as special deals and great travel opportunities. This goal is to encourage tourists and travel professionals to extend their stay in the region and explore more of its wonders. Some of the activities will include golf and polo tournaments, restaurant week, a Lorena Ochoa sculpture unveiling, music, and fireworks. The Vallarta wine fest will be also be coinciding with the festivities between March 22 and 27, and 21 different restaurants will be offering wine tastings and food pairing menus to participants. Locals and tourists alike will soon enjoy a delightful experience of pure gastronomical fun when the first Cancun-Riviera Maya Wine & Food Festival takes place this week from March 15th-18th. The festival aims to showcase the best talents in wine, spirits, and food within the Americas, while emphasizing the rich culture and traditions of Mexico. The event will be featuring one of the world’s most renowned chefs, Ferran Adria, who is the founder, owner, and chef of the well-known restaurant El Bulli in Barcelona, Spain. He is one of 24 celebrated chefs from around the world who will be participating in over 30 events during the festival. The other chefs hail from the U.S., Canada, Argentina, Brazil, Chile, and Peru. One of the events at the Cancun-Riviera Wine & Food Festival will be the “Tribute to Mexico” gala on the first day. It will take place at the Coral Beach Fiesta Americana Hotel in Cancun and will feature star chefs from the different culinary regions of the Americas. There will also be another gala dinner, “Rising Mexican Chefs Tribute”, which will be held on March 16 in honor of Chef Adria. Beyond that, the American Express Gourmet Tasting Village will host many activities on March 17th and 18th at the Iberostar Cancun Hotel & Conference Center. Other events will include wine and spirits tasting seminars, cooking demos, and “After Dark” parties at the Rosewood Mayakoba Hotel. 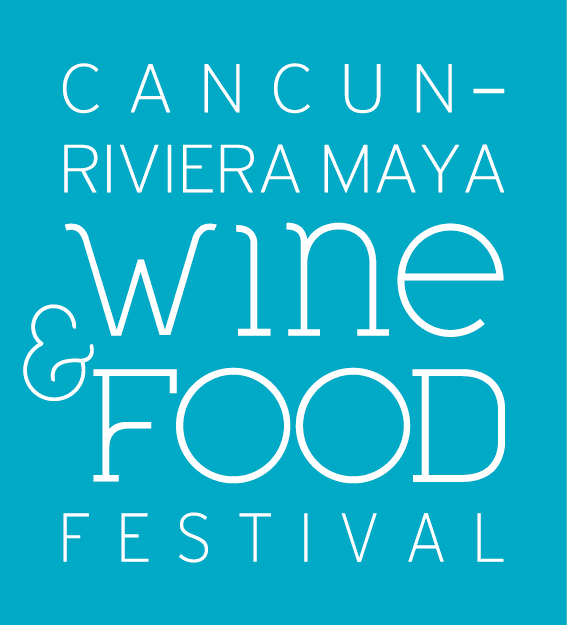 According to David Amar, Founder of the Cancun-Riviera Maya Wine & Food Festival, the event aims to provide the guests and celebrity chefs with a wonderful and memorable wine and food experience, where they can interact, explore new culinary realms, and enjoy the festivities. A new wind power project is set to begin construction later this month on the Isthmus of Tehuantepec, which is a narrow strip of land in Mexico connecting parts of Tabasco and Chiapas to Veracruz and Oaxaca. Mareña Renovables, an internationally known wind farm project, is behind the construction, which will commence in the state of Oaxaca. The Isthmus of Tehuantepec is said to have wind speeds of 8.5 miles per second, which means the farm project could generate 1,500 gigawatts of power per year. The construction of this 396-megawatt project is pending the final approval of $8.9 billion Mexican pesos, or $682 million US dollars, in financing and is expected to be completed by July 2012. Mareña Renovables is backed and developed by Macquarie Mexican Infrastructure Fund (MMIF), as well as Japan’s Mitsubishi Corporation and PGGM. 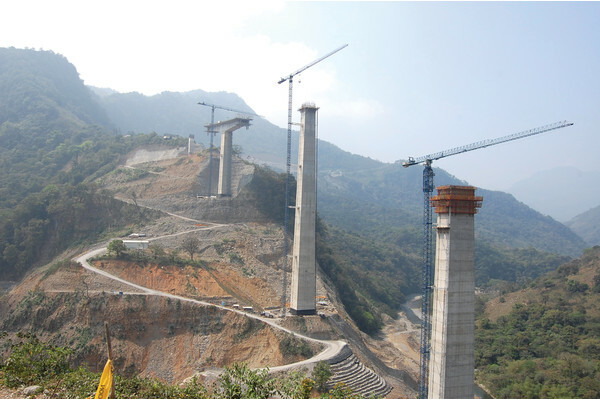 MMIF aims to provide investments in Mexican infrastructure projects such as roads, rail projects, new airports and ports, as well as other construction connected to utilities and energy. This is their first renewable energy investment. 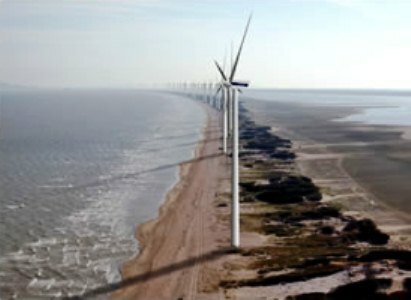 According to Jonathan Davis Arzac, Executive Chairman of MMIF, the new wind farm project in the Isthmus of Tehuantepec will be the largest single-stage wind farm in Latin America. Once it is completed, it will offer huge benefits to the Mexico’s economy and energy production. Number have proven that tourism in Mexico had increased despite the reports of violence and crime in the country. 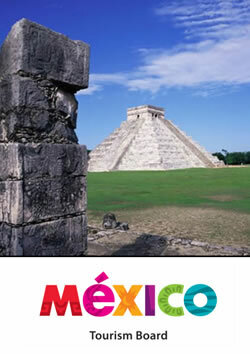 In fact, Mexico broke a record in their number of travelers who visited the country in 2011. The 22.67 million travelers count last year broke the previous record it set in 2008. The number of visitors in Mexico was driven mostly by travelers from the United States. However, tourism in the country was also boosted due to the increasing number of visitors from other countries apart from the US as well. According to Gloria Guevara, Tourism Secretary, tourism is continuing to build back up from the United States but Mexico also hopes to bring in more visitors from other nationalities. In order to do so, several tourism developments have been implemented to help increase the number of tourists from various nationalities. New infrastructures have been put into place to make Mexico more appealing to these alternative countries. Flight routes have been increased to make traveling to Mexico more convenient. Even visa processing has been shortened from days to minutes in some instances! Crime, which has been a primary concern impacting Mexico’s tourism, has also been addressed by the Mexican government. According to the State Department, a number of cities and tourism destinations in the country are safer. All improvements will help to boost the number of visitors in time for the unveiling of the new Mayan Calendar on December 21 2012. President Felipe Calderon visited Veracruz this past week in order to inspect ongoing constructions and security efforts in the state and to commend the administration there for a job well done. Along with Veracruz Governor Javier Duarte de Ochoa, Calderon inspected the construction on the Necaxa-Avila highway section of the Mexico-Tuxpan highway. Governor de Ochoa also accompanied President Calderon to an overflight of the area to inspect the highway as well as the San Marcos Bridge. President Calderon added that the construction of new roads and highways is helping to contribute to the overall security of the state and the Safe Veracruz Operation. These construction projects are offering people more work, thus reducing the chances of young people to be recruited by criminal organizations. The new highway will also provide easier access for young people to more schools and colleges once completed. During his visit to Veracruz, President Calderon further noted publicly that Operation Safe Veracruz the state is advancing quite well. The operation was organized by the Mexican Navy and has helped to reduce the level of crime in the state as it enables the people to enjoy the state festivities and other public events without the fear or threat of crime. United States and Mexican government officials recently signed an agreement benefiting the two countries pertaining to the use of the Gulf of Mexico reservoirs. The United States and Mexico came to an agreement last Monday to work together to drill for oil and natural gas along the maritime boundaries of Gulf of Mexico. 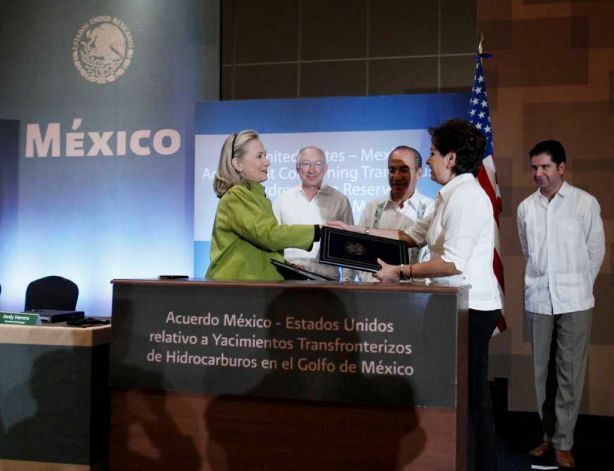 Last February 20, U.S. Secretary of State Hillary Clinton and Mexico’s Foreign Minister signed the agreement with Mexican President Felipe Calderon and U.S. Interior Ken Salazar as witnesses held at the Mexican resort city of Los Cabos. The agreement was influenced by an understanding made between President Barack Obama and President Felipe Calderon in 2010, in which they agreed to work together to avoid spills in the Gulf of Mexico and share profits which result from the drilling. The agreement between U.S. and Mexico indicates that companies in the United States can now partner with the National Oil Company of Mexico to drill for oil and natural gas in the Gulf. The agreement also indicates the need for inspection of the countries’ oil rigs on the Gulf in order to maintain strict adherence to the safety standards. According to the U.S. Department of the Interior, the agreement will allow drilling of the continental shelf which is suspected to contain approximately 172 million barrels of oil and 304 billion cubic feet of natural gas. 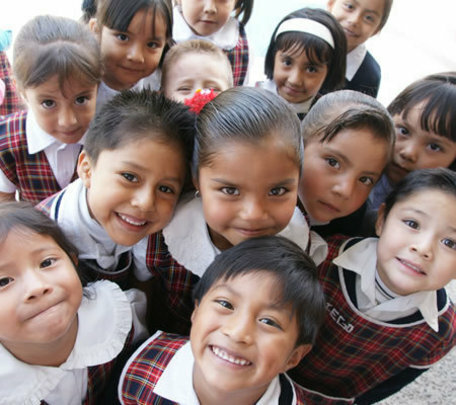 A signing ceremony took place last week in Mexico with the purpose being an increase of children’s protection in the country. President Felipe Calderon had directed the signing ceremony of the Agreement for Rehabilitation of Children and Adolescents in Organized Crime Scenarios. President Calderon indicated that the goal of the agreement is to respect the rights of children as well as adolescents who may have become involved in criminal activity. According to the current president of Mexico, the objective of the agreement is to provide protection to the children and adolescents from getting involved in violence surrounding them to help put an end to the chain of organized crime in the country. He said that these children must be protected against criminal organizations whether they may be directly or indirectly involved in them. President Calderon specified that the Attorney General’s Office (PGR), the Navy Secretariat (Semar), the Public Security Secretariat (SSP) and the Defense Secretariat (SEDENA) will all be working together in formulating potential ways to protect the children, and deal with those who have already been involved in such violent acts. The Mexican president also added that the government should not be blamed for the violence in the country since they are continually working on ways to battle the issue. Calderon added that this new agreement will enable the government to protect the most important asset of the country – its youth – and avoid scarring or ostracizing them due to the violent situations they are surrounded by or involved in. Mexico’s best year for international travel was set in 2008. However, reports of last year’s travel count reveal a new record breaker. The number of international travelers to Mexico in 2011 set a new record! This indicates that despite travel warnings very prevalent in the United States, more international travelers are finding their way to Mexico. According to the Mexican Ministry of Tourism, the number of international travelers visiting Mexico in 2011 reached almost 22.7 million. This shows a 2 percent increase in the travelers’ count of 2010, an increase of 5.7 percent in 2009 and a 0.2 percent raise in 2008. Officials say that there had been continuous growth during the last five months of 2011 indicating that the trend will only continue to increase. Compared to 2010, the number of visitors from Brazil increased by 66 percent, China by 30 percent, Italy by 13 percent, United Kingdom by 11.6 percent, France by 10 percent and Canada by 7 percent. However, air traveler from the US reveals a decline of 4.1 percent in 2011. To support tourism in Mexico, many resorts and travel operators offer discounts in many places in the country including Acapulco, Cancun and Los Cabos. The Mexico Tourism Board will also promote the start of the new Mayan calendar, aiming to generate more visitors to the five states in the country in which the Mayan World resides particularly Campeche, Chiapas, Quintana Roo, Tabasco and Yucatan. 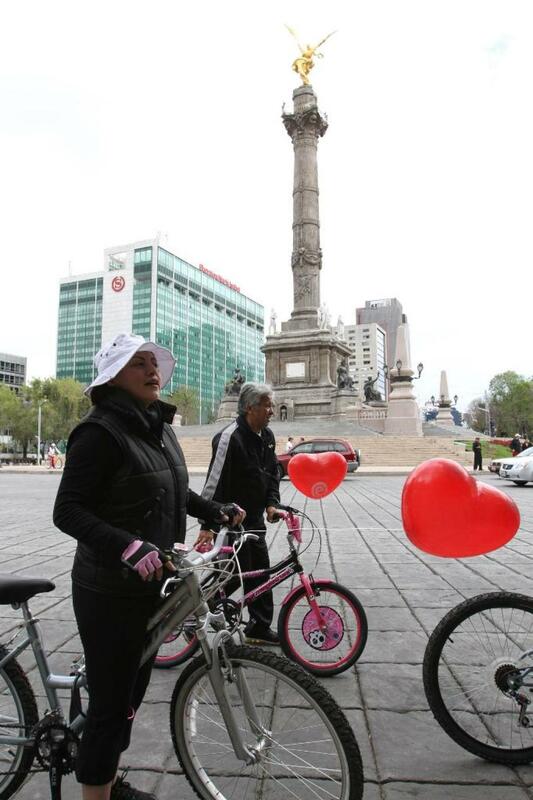 Love is in the air last Sunday in Mexico City as a number of couples and single men and women participated in the weekly 20 kilometer Muevete en Bici (Get on Bike) bicycle tour event on Reforma Avenue. For single men and women participants, they can get a chance to fall in love while riding their bikes on the Enamorate en Bici (Fall in Love on a Bicycle) event during the bicycle tour. Aside from the usual riders of the Muevete en Bici in Mexico City, a few single people joined the event for them to meet new people. Those who are single and interested to meet love in this new way are made to wear a red wristband to identify them from the regular bikers. Nearly 50 cyclists registered themselves as single and interested. Once the bicycle tour began, men rode one way while the women were to follow the route the other way. This will enable both men and women to check our any person they are interested in. Soon, the bikers are joined in the same direction, enabling them to talk to each other. Once the couple find themselves a potential couple, they can register as a couple, giving them a chance to join in a photo session, a dance contest and a contest where the public get to choose their favorite couple via cheers. About 18 couples registered last weekend. The couple who won as the favorite couple of the crowd received a tandem bicycle, biking gloves and helmets. Couples who came in second and third place also won bicycles and biking gears. The Asociacion de Ciclistas Bicitekas A.C. , a cyclist association in Mexico organized the bicycle tour event. This is in cooperation with the Mexico City Environment Secretariat. According to Agustin Martinez, one of the organizers, the event is one way to envision bicycle riding as a means to meet other people. This will make the city become more human through the use of bicycles.